We work 1-on-1 with our customers from start to finish. Get products made based on your design and custom logo. Unlike agents, we charge no order commission or receive supplier kickbacks. We help you avoid payment fraud and quality issues. Fredrik Gronkvist (Product), has been based in China since 2010. He has helped hundreds of ecommerce companies in the US, EU and Asia to launch ODM and OEM products. Ivan Malloci (Technology), holds a Ph.D. degree, and was a researcher at Zhejiang University before joining Chinaimportal.com. He runs the platform, together with our web developers. Ika Liu (Customer Acquisition), holds a Bachelor degree in sociology from the University of Glasgow. She’s in charge of business research and customer acquisition. Rona Wang (Sourcing), will help you identify manufacturers that can produce your custom designed or private label products. 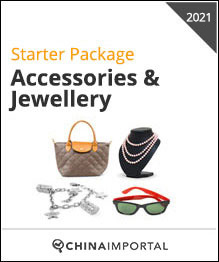 You can purchase another Starter Package, and thus use the features of that specific version. However, you cannot upgrade by only paying the price difference between two versions. We suggest that you select the version (Core, Startup or Business) depending on the features you need. Can you help even if we’ve already found suppliers and started the process on our own? Yes, you don’t necessarily need to start from zero. Almost half of our customers have already identified suppliers on their own, and sometimes even ordered sample, by the time they sign up with us. But, even in these situations, we do provide assistance with product specifications and assess whether the suppliers they’ve found are qualified. Why should we pay you to help us launch a product? We offer an established and tested online platform, supported by our team of experts, helping you through the entire process. You can, of course, manage everything on your own, but you will likely save plenty of time and money by working with us. Which product category should I get? You should select the product category matching the type of product you intend to import. 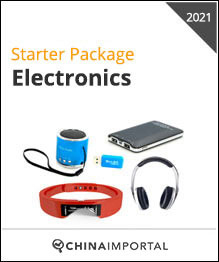 For example, if you intend to import power banks, you should select the Electronics Package. 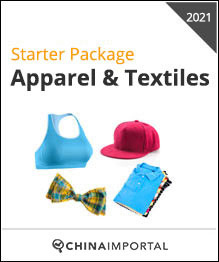 If you intend to import t-shirts, you should select the Apparel & Textiles Package. That said, you’ll get lifetime access to all 10 product categories. 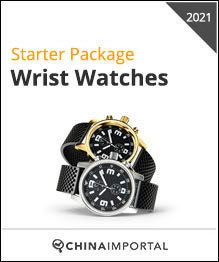 Start with the one that is your focus at this time, and add additional product categories free of charge at any time. Do I get lifetime access to all 10 product categories? What is the All Categories Version for? 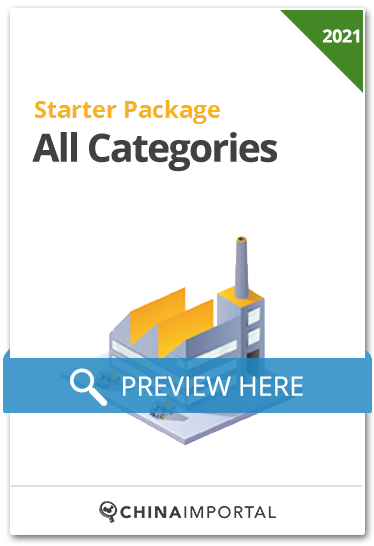 The All Categories Version can be broadly applied to any product category. 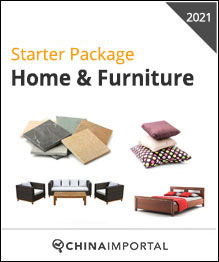 It is the right choice for you if none of the other product categories are suitable. What does it mean that I’ll get lifetime access? It means that you’ll get permanent access to the platform, including all future updates, even after the process is completed. Do you help us find suppliers? Do you have an Minimum Order Quantity (MOQ) requirement? No, we don’t set any MOQ. However, each supplier sets its own MOQ requirement, which is beyond our control. Do you offer any warranties or money back guarantees? No, we don’t offer any insurance or warranty due to losses caused by delays or defective products. However, we do guarantee that we will not cancel your account, or terminate the process if you do encounter delays or other setbacks. Do you get kickbacks or other payments from manufacturers? No, we don’t get any kickback from manufacturers. We only charge upfront for our Starter Package. Do you charge order commission? No, we don’t charge any order commission. How do you protect design files and product data shared on your platform? Our platform is protected by SSL (Secure Sockets Layer) encryption. However, we don’t offer any insurance or compensation due to delays or losses caused by IP theft. In addition, we don’t offer any insurance or compensation due to IP theft by suppliers or other service providers involved in the supply chain. We strongly recommend that you register a trademark, and file patents when applicable. Should I be aware of any extra costs? Note that none of the costs listed above are included in our prices. Will I be able to launch a product after applying the process? 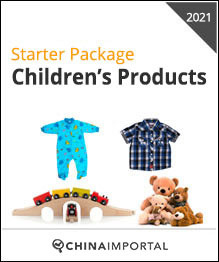 The concept of the Starter Package is to guide you step by step, through the sourcing and product development process, to the point where you have a product, that can be legally sold in your market. While there are no guarantees for this outcome, this is the intended result. Here you can read the opinion of our past clients. Do you guarantee that I will succeed if we follow the process? No, each product and situation is different. We provide a framework that simplifies a relatively complex procedure, but we don’t offer any insurance or guarantee for success. This also applies to product regulations, customs processes and tax rules that can change at any given time. We cannot guarantee that the information is kept up to date in real time. As such, we advise our customers to consult local authorities, and lawyers, in addition to applying the process covered in the Starter Package. 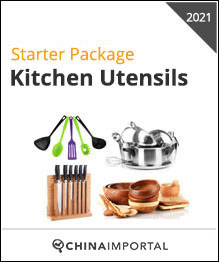 Do I need any previous experience or skills before using the Starter Package? No. As a beginner, you can rely on the tutorials and task lists to get through the process. That said, we insist that you request assistance on a very frequent basis, using the Dedicated Expert system, if you are an absolute beginner. We’d hate to see you fail to launch a successful product. How long does it normally take to launch a product? While it depends on the product, it normally takes somewhere between 4 to 8 months. We are not here to offer shortcuts but to help you manage the process correctly from the beginning. What software or equipment do I need to use the Starter Package platform? All you need is access to a computer, phone or tablet. Everything is managed online, from your account on Chinaimportal.com. 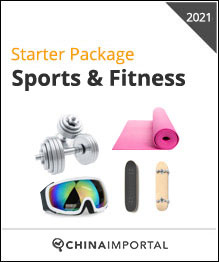 How long will I have access to the Starter Package? 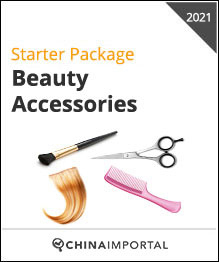 You will have lifetime access to the Starter Package. What kind of customers are you working with? Most of our customers are small to medium-sized businesses, based in Europe, USA, and the Asia Pacific region. Can I buy additional support tickets? Note: The tickets can only be purchased from the Starter Package Dashboard that you’ll access once you sign up. What kind of assistance can I get from the Dedicated Expert? What kind of questions can we ask using the Dedicated Expert system? Can you manage all communications with the suppliers for me? No, we don’t manage the entire process. Our customers act as ‘project managers’ and ask questions or request other assistance as needed. However, we don’t manage every aspect of the project. We normally reply within 24 hours, excluding holidays and weekends (Saturday and Sunday). Supplier related tasks can take longer, as they involve multiple steps. How do you define ‘1 ticket’? A single ticket is defined as one or several questions, related to a specific topic. For example, you may send several questions related to the same topic, within one ticket. However, unrelated questions or other requests requires that you open a second ticket. That being said, we are flexible, but must limit the usage to deliver a quality service for a reasonable price. We reserve the right to terminate the service if the process has not been completed after 3 years, counting from the date after you purchased the Starter Package. Note: We do not automatically terminate your access to the Dedicated Expert after 3 years. We only reserve this right, in case we would cease operations, or adjust our business model. Note that we may provide assistance beyond the scope of limitations, based on a case to case basis. But, we need to set clear limits on our service as we offer a flat-rate service. We reserve our right to terminate all accounts (permanently or temporarily) in case of bankruptcy, war, natural disaster, international sanctions, loss of data due to server failure or hacking, or other major event. What is included in the Import Manual? Can I track my progress as I go through this process? Yes, you can mark tutorials as completed. Where can I find a complete list of tutorials and videos? Click here to download a PDF overview. What is included in the Product Compliance Module? The module covers tutorials, videos, checklists, document templates, and label templates – helping you ensure compliance with applicable product regulations in the US, EU, and Australia. Do you guarantee that the information in this module is entirely accurate and up to date? No, we cannot ensure that the information we provide the Product Compliance Module is 100% accurate and always kept up to date. Regulations are subject to change and interpretation by the relevant authorities. That said, we do provide comprehensive guidelines and checklists that help Importers understand what it actually means to ensure compliance with safety standards, labeling and document requirements when importing from Asia. Still, we recommend that you consult local authorities before you import products. Where can I find a complete list of tutorials and other content? Why do I need the Supplier Check System? The system is tweaked according to the industry. Hence, a supplier that may be classified as Excellent in one industry (or product category) may be only Average in another. The Supplier Check System shall be used together with the sourcing process explained in the 4 Part Import Manual. The system is based on data entered by the user, which includes, for example, the registered capital and the year of registration. This information can be found for free on various company websites. In addition, the user is requested to answer a few questions about the supplier, and the information they present. Based on the answers and information provided by the user, the system then makes a points assessment. A Supplier Assessment Report is then automatically generated and delivered by email to the customer (the report will be delivered to the email address provided during the purchase of the Starter Package). Can I buy additional supplier list tickets? How do you select suppliers? How many suppliers do you list in each report? 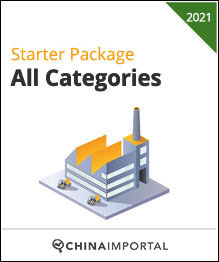 Normally, we list 6 to 8 suppliers in each Factory List (PDF). Do you guarantee that the suppliers are reliable? Suppliers cannot be classified as consistently ‘reliable’ or ‘unreliable’. While we filter suppliers based on the selection criteria (see above) to find the most qualified companies, the outcome depends entirely on how the process as a whole is managed. As such, it’s crucial that you follow the Import Manual tutorials and task lists, and request assistance from your Dedicated Expert on a regular basis. Do not assume that the supplier listed in this report are by default ‘reliable’ or ‘quality’ suppliers. Note that we don’t act as guarantors for any supplier, or offer insurance or other forms of compensation due to losses caused by quality issues, fraud, delays or other reasons. What kind of Document Templates are included? What kind of services can I book? You can get a free quotation and order these services within our platform. Which companies provide these services? How do I know which Extra Services to order? You are not required to order any of the services listed on the Dashboard. That said, you will likely need shipping, quality control and make payments to your suppliers. The purpose of the Extra Service Dashboard is to give you access to a set of verified and reliable service providers, many of which are leaders in their respective industries. How do I pay for the extra services provided by Chinaimportal? The services sold on this Dashboard use the same checkout system that you used to pay for your Starter Package. Hence, as an existing customer, you are already familiar with the process. You can either pay via PayPal or Credit Card (Stripe Checkout). How do I pay for the extra services provided by Chinaimportal’s partners? You shall pay via the partner’s payment gateway, not to us. Most partners offer PayPal, Credit Card and Wire Transfer as payment methods. Which terms of services apply for services sold by third parties?